Kickdrive is a modular PC software platform that can be used for a variety of configuration, commissioning and service tasks. •Commissioning and configuring field bus nodes, like drive units or controllers. •Field bus monitoring (e.g. 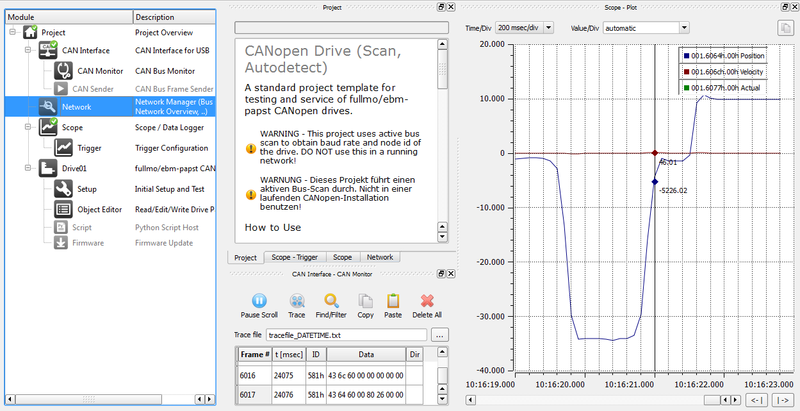 generating a CAN Bus trace file, CAN BUS monitor with Find and Filter functions). •Scope data display: Live display of data from one or several drive parameters, logging to a file, trigger on specific events. •Custom UI Panels: create, display and control elements for a specific application, e.g. machine control. Build a simple panel from predefined sliders and dials using simple drag and drop. Alternatively, create rich smartphone-like user interfaces with your own graphics material and application specific behavior. Kickdrive projects are made up of standard modules which serve as building blocks. 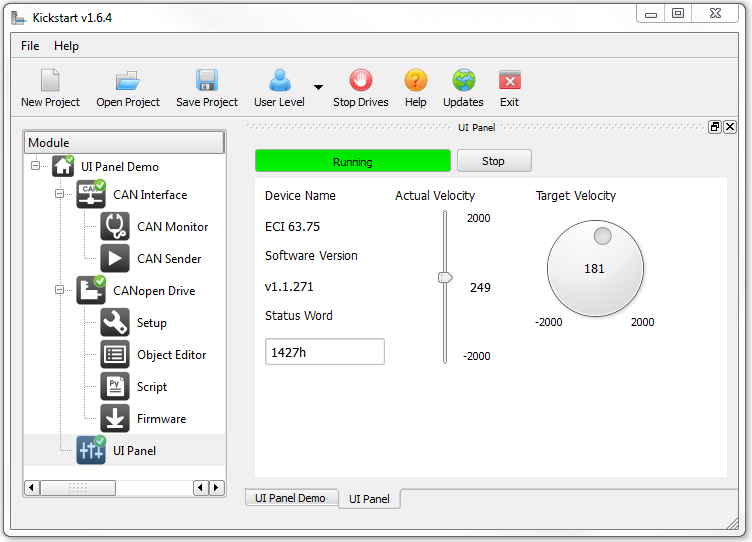 For example, the "CAN (USB) Interface" or the "CANopen Drive". For specialized applications (Scope, UI Panels, ...) additional project templates are available, containing more modules.